India is popular destination for adventure package tour where you will enjoy with amazing Himalayan scenery, cultural heritage, historical monuments as well religious tour. India is one of the most attractive tours destinations in Asia. 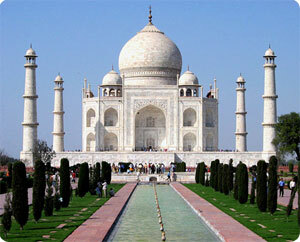 India tour fulfills the wish of each type of Travelers. When you will be in India tours you will observe that India surprises you with its attractive locations, lovely lakes and beaches, temples etc. Over all, India provides something new, something extra on your every step while you are traveling in India. It is one of the oldest and greatest civilizations in the world covering an span of approximately 5000 years. It is a land where the history rewinds itself and brings ahead an image that surprises you with the timeless magic of historic fervor. A reliable India Tour operator plays a very important role in the development and promotion of tourism in India. Many tour operators offer attractive tour packages for the India tours include South India tours, Wildlife tours, Travel Tour India, Pilgrimage tours, Rajasthan tours, India Golden triangle Tour, Temples of India tours and many more. These tour packages satisfy all types of tourists weather they are culture tours lovers or nature & adventure tour lovers from professional India tour operator based on Nepal with co operate Indian local agents. Himalaya Journey Treks and & Expedition, Nepal operate numerous adventure package tours in India. Since India tour has been open for trekkers/ travelers, Himalaya Journey Treks & Expedition pvt. Ltd Nepal has depth experience to operate all kind of tours in India. India is popular for adventure package tour, cultural tour India – the land to travel to, a haven of tourism delights, a civilization to tour through. Tourists come to India for its wealth of sights, cultural excitement, diversity of landscape and in search of that special something, an extra blow that only India promises and delivers. Teeming with over a billion people who voice over a million concerns in fifteen hundred different languages, India is where people live with variety, thrive on diversity and are too familiar with largeness to let it boggle them. Mud huts and mansions face off across city streets. Lurid luxury and limp living are inhabitants of the same lane. India is a travel haven – a tour package that frustrates and delights, as demanding as it is rewarding. Himalaya Journey Trekking professional offer online India adventure tour, India trekking tour , Darjeeling Sikkim tour , Darjeeling sikking trekking , hotel bookings and reservations for deluxe and luxury hotels and resorts as clients demanding in whole parts of India with reasonable price. Himalaya Journey Treks and Expedition, Nepal proud to offer you the most comprehensive coverage of the great Indian outdoors, with adventures ranging from wildlife safaris to white-water rafting, high altitude treks to camel safaris, angling to combination packages or special interest tours e.g. tiger photographic safaris etc.